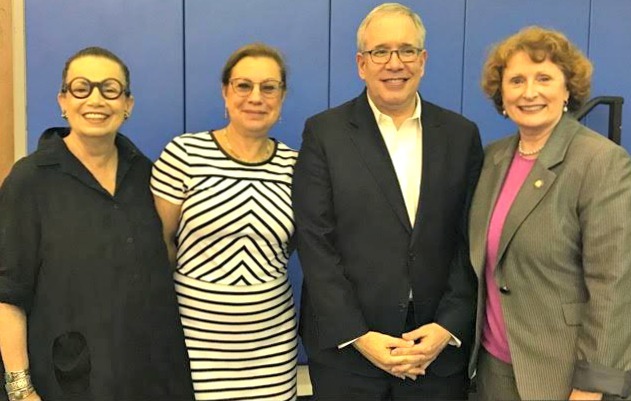 Alice Fisher, Founder of the RadicalAgeMovement, was honored to share the stage with Caryn Resnick, Deputy Commissioner of NYC Department for the Aging, and spoke at a ‘Town Hall’ as part of a senior resource fair sponsored by Brooklyn Assembly Member Jo Anne Simon. Also attending was NYC Comptroller Scott Stringer. Alice was thrilled to have the opportunity to speak to a new audience. After Caryn and Alice spoke and answered questions posed by Assemblymember Simon, the audience asked questions. 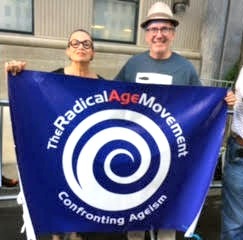 On Thursday, July 6th, RadicalAgeMovement joined with Metro New York Health Care for All and a number of other groups in a spirited demonstration against the TrumpCare plans to decimate health care for over 22 million Americans, including millions of older Americans on Medicaid and Medicare. The march, starting at 72nd and 5th Avenue, ended at David Koch’s apartment building on Park Avenue, where about 200 hundred protesters, many carrying tombstones, body bags and caskets, gave voice to their anger at such draconian measures. As the speakers made clear, the TrumpCare bill is dire. Both the Senate and House bills are as much about dramatically cutting taxes for very rich people and large, well-off health care corporations as they are about health care per se. Both bills propose trading away health care coverage for 22-23 million people, decimating Medicaid as we’ve known it for the past 50 years, weakening/eliminating important consumer protections (particularly for people with pre-existing medical conditions), and eliminating funding for family planning and sexual health services, all for these tax cuts for people and entities that don’t need them. “Dark Money” campaign donors to members of both the Senate and House majorities who would greatly benefit from these tax cuts are now threatening to withhold any future financial support until Congresses passes a bill to “repeal and replace” the Affordable Care Act as described above. Should such a bill be enacted, millions of US residents will suffer, their health will decline, and people will die. At the “Koch Addiction is Killing Our Health Care” march, participants wore black; a significant number had canes, wheelchairs and walkers. We then solemnly marched to the apartment building nearby where David Koch has his New York City apartment. The marchers used symbolic body bags, coffins, and money bags to deposit at Koch’s doorstep. Radical Agers Alice Fisher and Steve Burghardt were proud to be a part of this spirited response to TrumpCare. Mark Your Calendar! 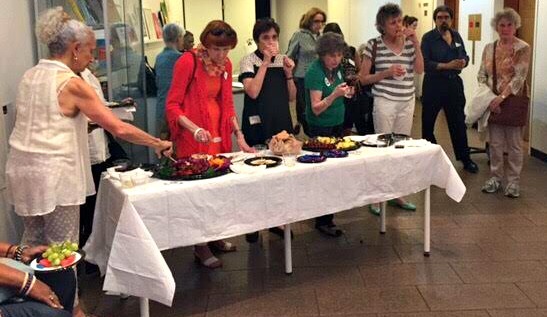 Our next Members-Only Networking Salon will be Wednesday, September 13th, at 5:30 PM. More details to follow. We’re building an inter-generational movement dedicated to confronting and eradicating age discrimination and its impact on older adults in all areas of cultural, professional and community life. Become a member today and receive a copy of of Ashton Applewhite’s acclaimed book, This Chair Rocks: A Manifesto Against Ageism.